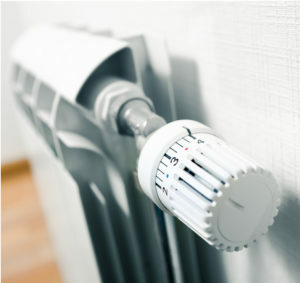 Approximately 350 million radiators in Europe, Russia, Turkey and partially in Canada and China, need to be converted with heating cost allocation systems; 150 million of these radiators have been already been converted to a system adopting a more autonomous usage, based on so-called heat cost allocators (HCA) and thermostatic valves. This type of system must be installed in many European countries and regions such as Germany, Denmark, Bulgaria, Turkey and others. A European directive imposes their adoption in the whole European Union by 31 December 2016 (read more). The first type of device (HCA) is used for metering issues; they allow heating costs to be allocated on the basis of the real thermal energy absorbed by each apartment in the same building, independently. The accuracy, errors in allocating costs, performance of these devices are worse than the promised ones (read more). The other type of device (thermostatic valve) is used to make the temperature setting independent for each apartment of the same building. In fact, in old, centralized buildings, with vertical warm water distribution (built in many cities till the ‘70s), it is not possible to set a desired indoor temperature: simply the spaces are heated all the time the central heater is switched on, without caring if residents are actually at home during that time or not. Thermostatic valves are quite cheap and robust devices; no electronics, no electric engines, no batteries. Just a bulb filled with wax, liquid or a gaseous filler that expands or shrinks depending on the temperature of the air that surrounds the radiator. These are the positive characteristic of this device, that are proposed in more than 99% of cases in conjunction with the HCAs. Regretfully, they allow very low savings, much lower than the expected ones. Depending on the usage, the real savings that residents could obtain stay in the range 6%-12%. Higher savings are reported in minor cases and often these are due to pre-existing unbalances in the heating plant that could be fixed without installing the thermostatic valves. Low savings imply a longer time paying back for the investment, that is a fundamental criterion for choosing energy saving systems, that should pay for themselves with the resulting savings. thermal inertia in the structure and furniture: when these masses get cold and then the heating system is switched on again, a certain amount of energy is needed not just to compensate for what is wasted on the external environment, but also to increase the temperature of these indoor masses again. if adjacent apartments are kept warm, they are partially warming the apartment in which the heating system is switched off. generally, residents that have an easy way to decrease the temperature in their flat, such as a thermostat, simply switch the heating system off when they go out, so that it makes no sense to apply the previous equations, as there is simply no consumption during that time (the saving ratio is 100%). Often, the indoor temperature does not fall so much because the time during which residents are not present is limited. 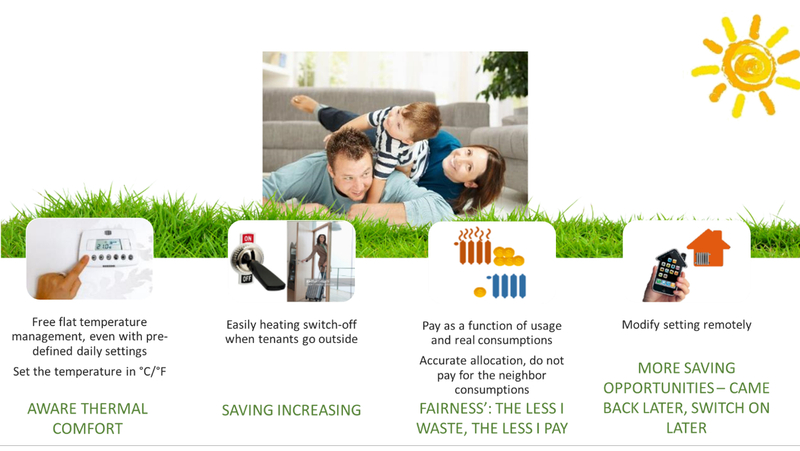 from the point of view of savings from a specific apartment, it is better to switch off the heating system instead of reducing the temperature. Or In other words, the historical certainty of many thermal-technic engineers, who suggested never switching off the heating system due to the higher consumption needed to re-heat the structures and objects that get cold (read more in Politecnico di Torino article), is not totally true. Thermostatic heads modulate the opening state of the radiator valve onto which they are screwed, in correlation to the temperature of the air that surround their bulb. Since they generally are very close to the radiator, their position is the absolute worst one to detect the average temperature of the premises, because they sense a higher one. Even when an external probe is used to move the sensitive bulb further from the radiator, this is generally mounted on an external wall, under a window, in a low position so that the detected temperature is, in this case, lower than the average one of the premises. This results in an error, unknown and varying from case to case, in the temperature control, so that it makes no sense to have a temperature setting explicitly in degrees Celsius or Fahrenheit; that is why thermostatic heads have a ring nut, simply graduated from 0 to 5: the temperature control is so imprecise that having °C or °F as a reference physical quantity on the setting ring nut would be a con. The problem is that final users do not know what temperature they have set and, in most cases, they set a higher temperature than the one they would like to have (23°C instead of 21°C for instance), increasing their expenses instead of decreasing them. Even more, the worst cause of the low savings achievable with thermostatic vales, is their real usage. Since they are installed on every radiator and they are simply mechanical devices, residents should manually modify the ring nut setting point of every valve, every time they go out and come back during every day. This, as matter of fact, is never done with the 150 million thermostatic valves already installed. Residents set them at a level at which they perceive sufficient thermal comfort and then the thermostatic valves are forgotten forever. This is the main reason for the very small savings that characterize conversion systems based on HCA and thermostatic valves: residents still waste heat when they are out because it is not convenient to modify the thermostatic valves’ setting points several times a day. The following schema summarizes the typical requests from aware building owners, when they face the need to buy and install a central heating conversion system. 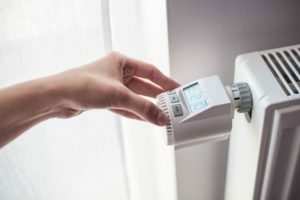 Not all the electronic valves currently on the market can be managed by a unique, electronic thermostat, but even just the first function would be sufficient to increase savings compared to thermostatic valves. As matter of fact, statistically, electronic valves are sold just in less than 1% of cases. This very low ratio of sales is confirmed in all European countries, showing that the basic reason is not cultural, neither is it just economical. The main reason is that building administrators and heating contractors strongly discourage the final clients (the owners of the building) from buying electronic valves. The reason is the batteries duration: they do not want to face the countless requests for assistance they would receive when the batteries died, above all from elderly people, and not knowing how to use the electronic devices. This worry is reasonable from their perspective: a drastic increase in their work-load that nobody will pay for. The drawback is that this led to the adoption of an inefficient and inaccurate technology, that is creating discontent because of the failure to deliver the promised level of savings; that is in addition to the bad accuracy performances of the heat cost allocators. The EcoThermo R&D team has designed and developed several innovations for the EcoThermo BVA electronic valve. One of the most important innovations concerns an electro-mechanical solution specifically devoted to radically decreasing the consumption of its batteries: in the worst case they last for 4-5 real years, because the average energy demand for every actuation of this electronic valve is 2.5 to 5 times lower than the current electronic valves. Besides, this device has six tampering proof controls and, since it is wirelessly connected to a remote server, possible alarms arrive in real time, not at the end of the winter season, as happens with the traditional, old, heating allocation systems. Finally, since EcoThermo is a real Internet of Things system, users can fully control it remotely, increasing they opportunities for savings. The potential market is huge: 350 million radiators to be converted, 60 billion euro for selling systems and 2.5 billion euro/year for heating cost allocation. EcoThermo is the most innovative, most accurate and most performant energy saving Internet of Things system aimed at converting old residential centralized heating plants. Internationally patented.